Fancy a trip to the cinema this evening to celebrate International Women’s Day? Assuming you’re under 75 and therefore disinterested in The Best Exotic Marigold Hotel, your options are few and far between. Safe House? Ghost Rider 2? The Woman in Black? None of them are exactly bursting with interesting female characters, even if they do seem relatively innocuous compared with 2012’s reigning misogyny-fest Project X, from which this blog post takes its title. 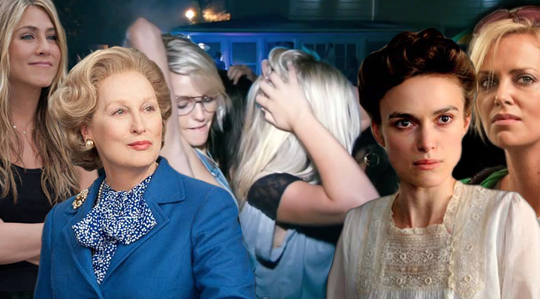 The time has come to put the movies of 2012 to the test, or more specifically, the Bechdel test. It must have at least two female characters. … about something other than a man. Listed below are all of 2012’s UK theatrical releases thus far (excluding documentaries and re-releases). I’ve labelled the ones I’ve seen either green (for a pass) or red (for a fail) but I need your help to complete the database. If you’ve seen any of the movies I haven’t, get in touch via Twitter or e-mail and let me know how they fare. Together we can complete this inevitably depressing picture.